Dirty brushes are totally gross. When you're putting something on your face every day it needs to be clean. Even if you're using the same products all week long, it's important to wash them. Your brushes are a party ground for bacteria and those little guys like to party hard. You wouldn't go all week without bathing (I hope) so why do you expect your brushes to? Not only do brushes put things on your skin, they also pick things up.. y'know, like natural oils, which bacteria love. Dirty brushes mean bacteria is spread around the face, causing skin problems and possible infections. You know those breakouts you keep getting? Look no further than your unwashed beauty tools. Deep cleaning your brushes at least once a week means any festering bacteria gets removed. I also recommend storing used brushes separate from unused ones, this helps avoid contaminating otherwise clean brushes. It also makes for less work come the end of the week. If you can't remember which brushes are clean and which ones are dirty, you have to wash them all. I take each brush individually, apply a little baby shampoo to the palm of my hand, swill the dry brush into the soap, and gradually add a little water at a time to build a lather and thoroughly cleanse. I repeat this process until the water runs clear and I can see the bristles are clean. I do this over a sink using free flowing water - don't bathe your brushes in a bowl of water. Once the brushes are clean I gently squeeze any remaining water out and swill the brush against my palm once more to reshape the bristles. I lay a towel out in a place it won't get disturbed and lay the brushes on top to dry naturally. 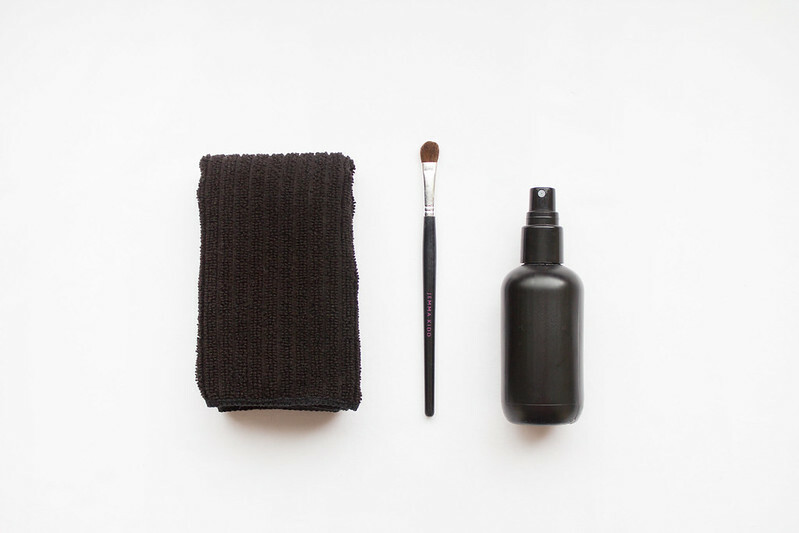 Washing your brushes once a week is the bare minimum but if you want to totally avoid bacteria being brushed all over your face you're better off being a little more regular with the beauty tool hygiene. It's a little much to expect cleaning every single day (seriously, who's got time for that?) but spot cleaning is super easy to do. Spot cleaning is a great way to keep the bacteria at bay. 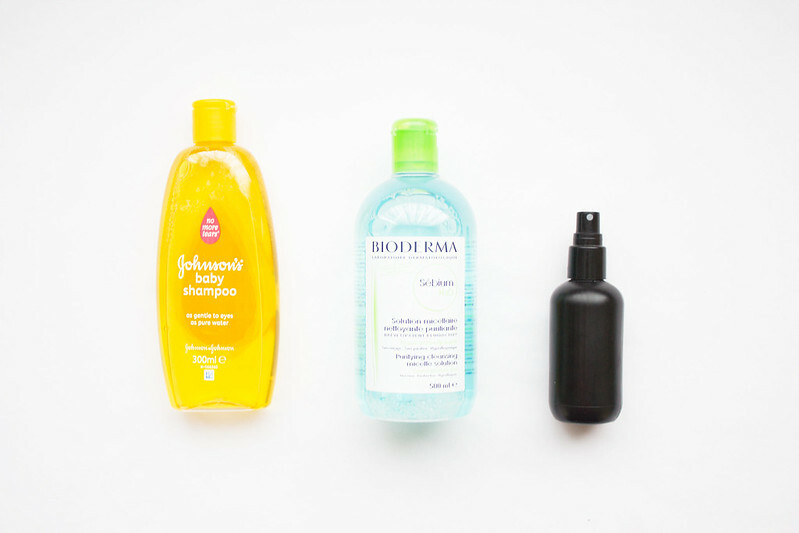 I use either Bioderma Sébium H20 (for a more heavy duty, bacteria busting clean) or a simple diy tea tree toner (for a lighter clean). I also spritz tea tree toner over freshly washed brushes to add a little extra bacteria killing power. You totally do not need "special" brush cleaning products to do this job. I use baby shampoo because it's cheap, it cleans brushes super well, and anything that is gentle enough to use near a babies eyes is good enough to clean my brushes. 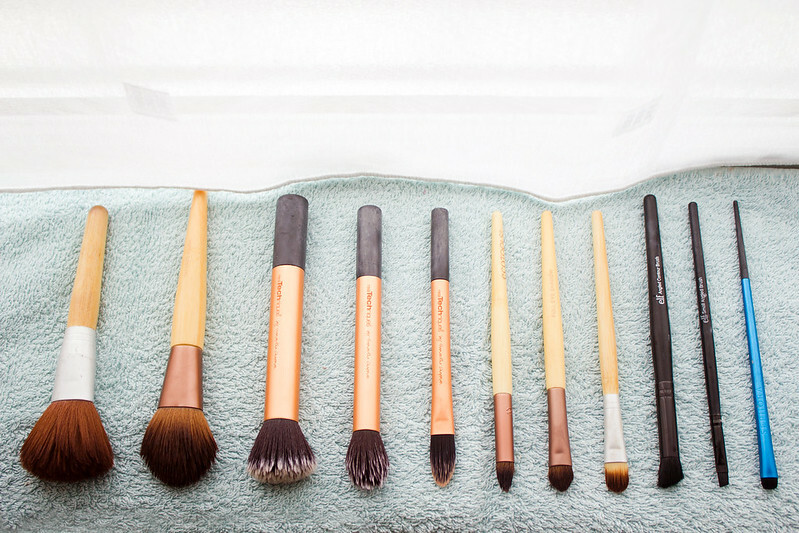 So.. how good are you at keeping your brushes clean? You've reminded me I need to clean my brushes this weekend! Thanks! I just use any shampoo I have in my shower. I should really invest in something specific to clean my brushes with! wOAH you still need to wash them. Bacteria breeds over time, even if you use them once and then don't pick them up again all week there's going to be a whole heap of bacteria on them. I'd prefer to have a bit of dust on my brushes than bacteria, so I keep them out in the open BUT both methods have their downsides. YES. None of this "special brush cleaning fluid" nonsense. Save your pennies and buy baby shampoo. Clean them more! Think of your skin! Absolutely. Either works really well. I like using the miceller waters for spot cleansing, diluted tea tree oil works just as well. I used to get serious breakouts on my chin but ever since I started cleaning my brushes once a week, changing the covers of the pillows twice a week and carrying a hand sanitizer at all times (my hands always seem to find their way to my face!) my chin hans been completely free of blemishes. Heaven! However, I am wondering where you buy your Bioderma products since I've been told that they're not available in Boots/Superdrug. I'm not from the UK but I will be in Scotland in a few weeks so I really wanted to get my hands on these products. 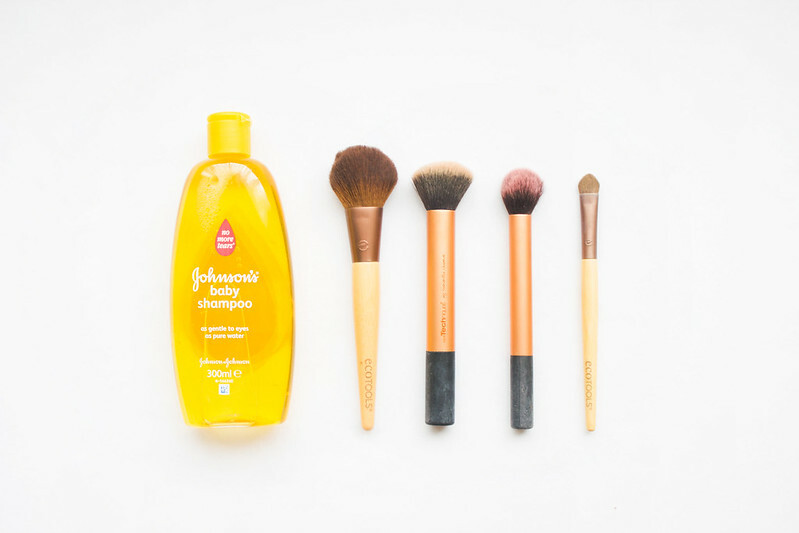 Cleansing make-up brushes regularly TOTALLY makes a difference to the condition of your skin. I bought my Bioderma in bulk from France when I last visited. There are a couple of shops in London that stock in, however, you can buy it online from http://www.escentual.com/ I believe. YES, cleaning the actual product themselves too is something I always do. A little wipe over and they're kept in fantastic condition. I don't know why people don't do this. Oh god, you've guilted me into going to clean my brushes RIGHT NOW. What is definitely a wild germ party is getting shut down. Thanks for the motivation!